Celebrate style and comfort at the Barceló Hotel Group’s seaside properties in Costa Rica, Cuba, Mexico and the Dominican Republic. 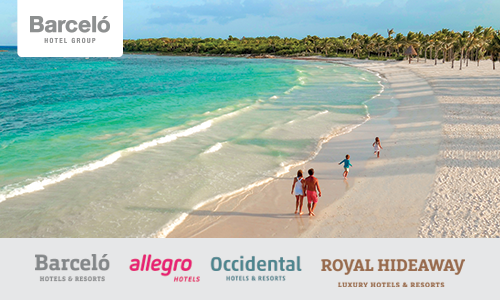 And with four brands to choose from—Royal Hideaway Luxury Hotels & Resorts, Barceló Hotels & Resorts, Occidental Hotels & Resorts and allegro Hotels—you’re sure to find the right fit, whether you’re thinking upscale or price-savvy, family fun or romantic retreat. All of the properties boast the advantages you expect from a Barceló resort: scenic locations, gourmet dining, unlimited drinks and top-notch entertainment day and night. 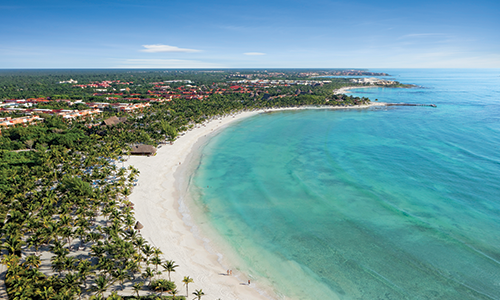 Upgrade to the Premium Level* for that next level of comfort at the Barceló Bávaro Beach Resort, Barceló Maya Colonial and Barceló Maya Palace. What does that include? 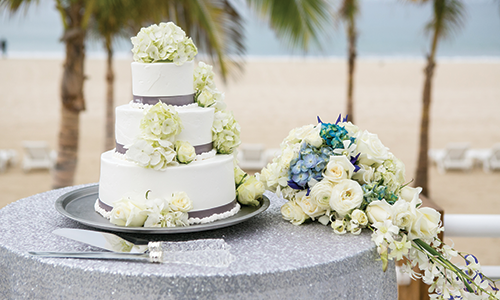 With fanciful names like Coconut Paradise, Blueberry Dream, Mint Breeze and Strawberry Passion, the Barceló Hotel Group’s nuptial packages bring you the storybook wedding you’ve always dreamt of in a lush, tropical setting. 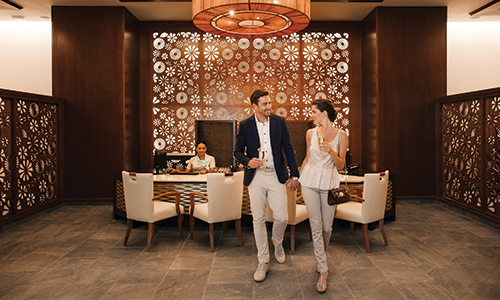 From sea-inspired decor to mint massages to strawberry essence mani‑pedis, each package boasts its own unique perks designed to fill your day with fairy-tale-worthy moments. Plus, with their kids’ clubs, you can treat yourself to a spa treatment or relax at the swim-up bar while your children play games and paint pictures. And even big families can count on big-time comfort. For example, the Barceló Maya Grand and Barceló Maya Colonial feature rooms with sofa beds and microwave ovens. 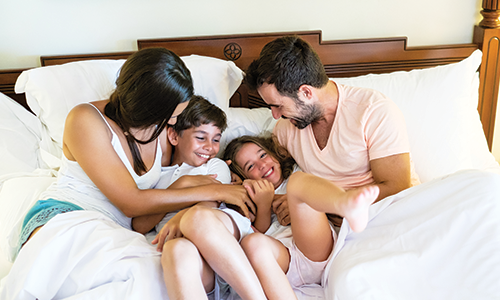 Meanwhile, the Barceló Bávaro Palace offers family rooms, suites and even duplexes, so you can enjoy tons of space and extra beds. *Features may vary by resort. It’s like a passport to non-stop fun. Itching for that Punta Cana vibe? Good news. Book a stay at the lively, social Barceló Bávaro Beach – Adults Only and, along with your white-sand beach, delectable dining options, sizzling entertainment, and land and water activities, you’ll enjoy full access to the Barceló Bávaro Palace, since both hotels are part of the Barceló Bávaro Grand Resort. That’s twice as many pools, restaurants, sports options and live shows. In short: twice the fun. 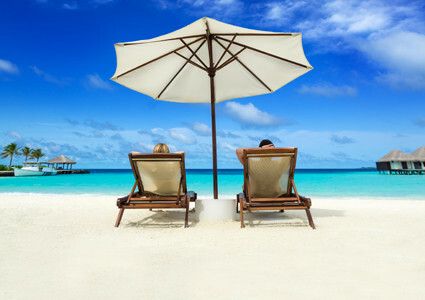 Valid on new individual bookings made by February 28, 2019 for travel between February 1, 2019 and October 31, 2019. 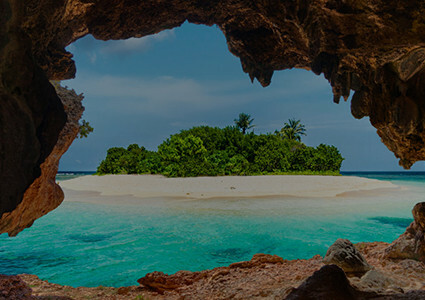 Savings of up to $1,200 per couple is applicable at the Occidental at Xcaret Destination for departures on February 25, 2019 and March 4, 2019 from Vancouver, on March 30, 2019 from Kelowna, on March 9, 2019 from Victoria, on Mar 4 and 9, 2019 from Calgary, on March 8 and 15 from Edmonton, on March 12 and 15, 2019 from Winnipeg, on March 14, 20, 21 and 27, 2019 from Toronto, on March 19 and 26, 2019 from Hamilton, on March 28, 2019 from London, on March 15, 2019 from Windsor, on March 16, 19 and 26, 2019 from Ottawa, on March 25, 27, 30, 2019 and April 3, 2019 from Halifax, on March 7, 2019 from Moncton, on March 15, 18, 22 and 25, 2019 from Montreal, on March 24 and 31, 2019 from Quebec. 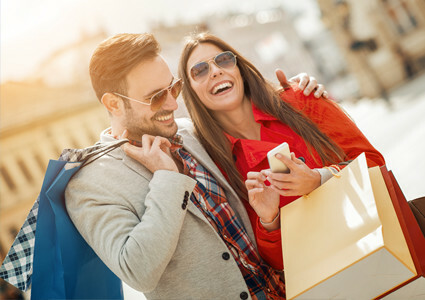 Receive up to $1,000 in resort credit coupons, per room, on services and facilities depending on the length of your stay at a specific resort; credits cannot be transferred to another property. You must visit the Concierge Desk to activate resort credit coupons. Savings is calculated before taxes and fees and reflected in advertised price. 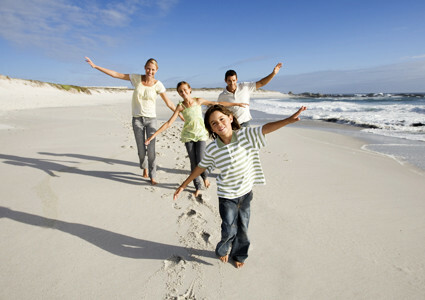 Prices are indicated per person, based on double occupancy in the Deluxe room Preference Club, unless otherwise stated. Prices differ depending on departure date and are in Canadian dollars. 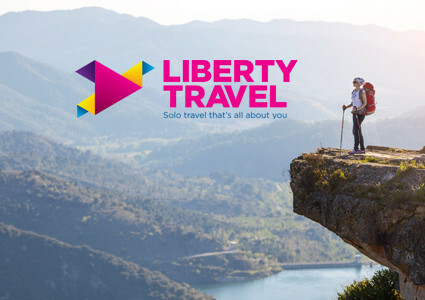 Products, prices and itinerary advertised are valid at the time of the posting on the Web and are subject to availability at time of booking.